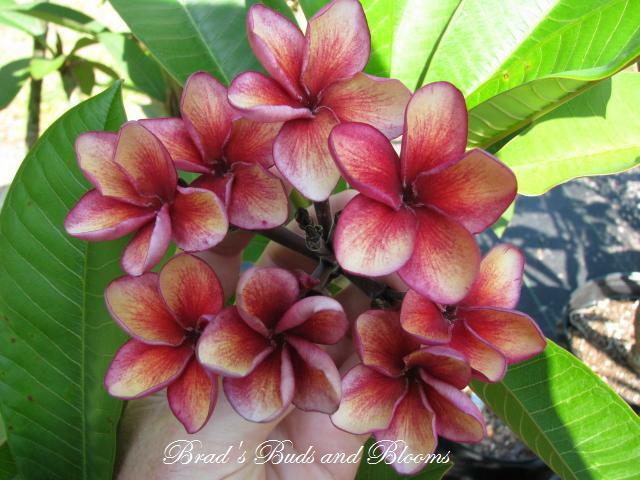 This is a lovely hybrid with somewhat stiff petals of sizzling grainy red with white; sometimes hints of orange. 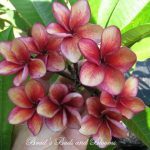 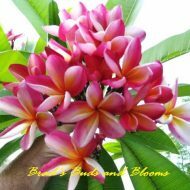 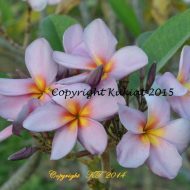 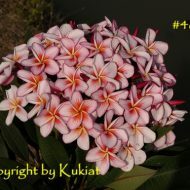 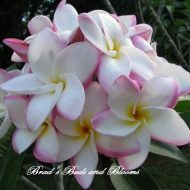 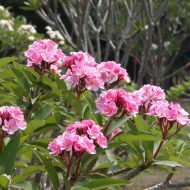 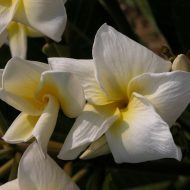 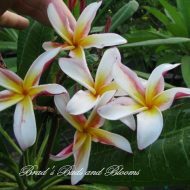 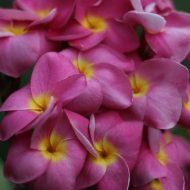 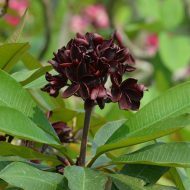 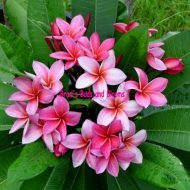 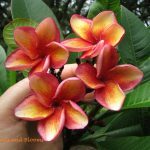 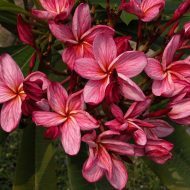 Blooms average 2.5″ and have a lovely sweet fragrance. 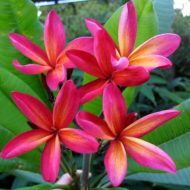 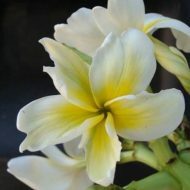 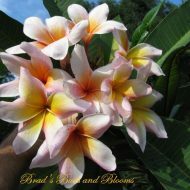 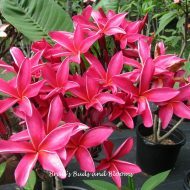 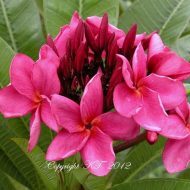 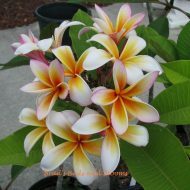 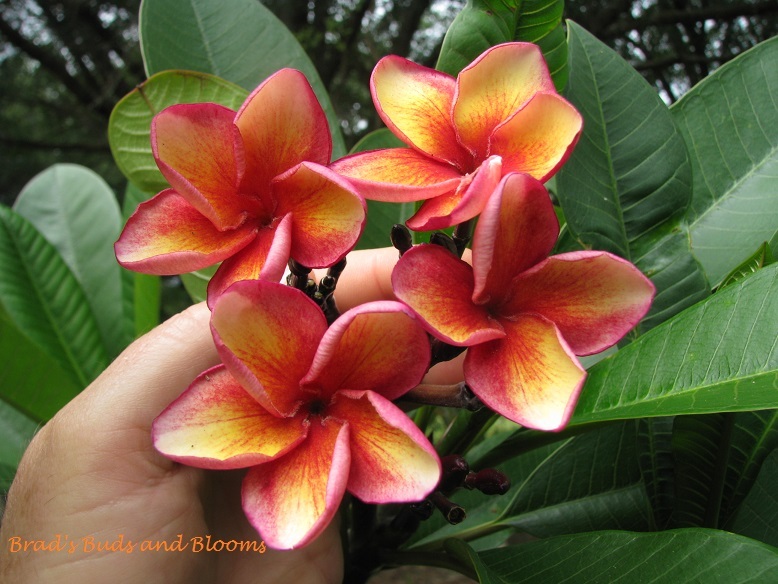 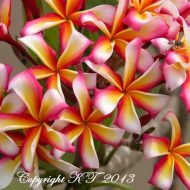 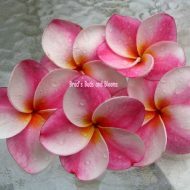 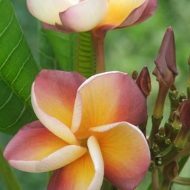 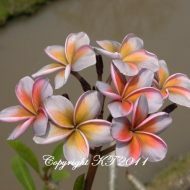 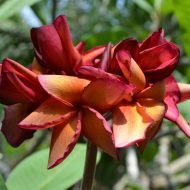 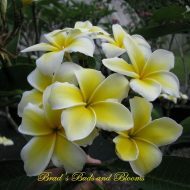 The shape of the flowers is typical of many of the new and exciting hybrids coming out of Hawaii in the last two years. 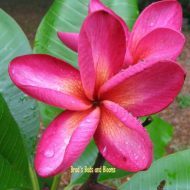 Rooted plants–NOT GRAFTED– 13-15″ tall.